Discussion in 'General discussion' started by Ped, Nov 5, 2018. 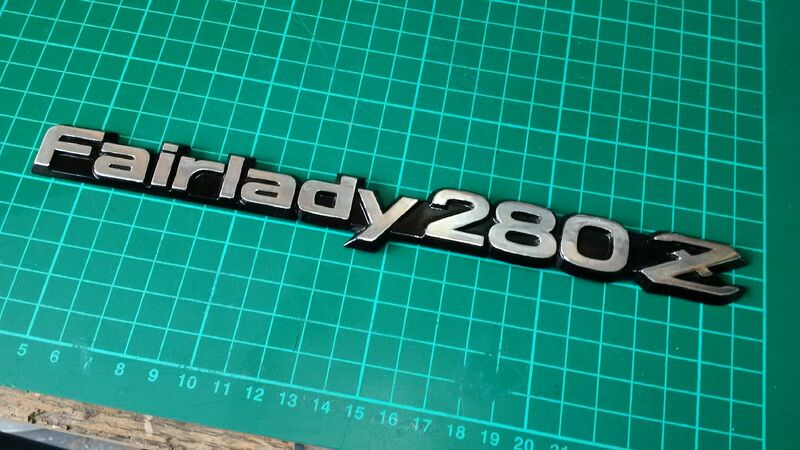 I had been given a 280z badge some time ago. The condition was pretty poor with the chrome worn, scratched and faded and the plastic flat and dull. 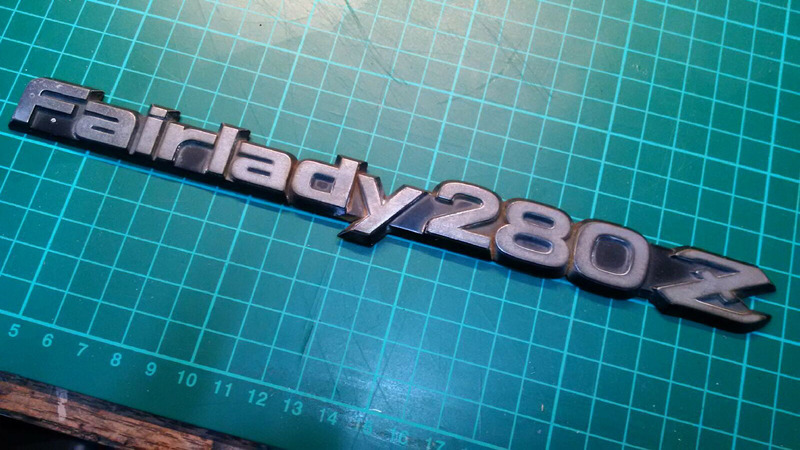 Decided to see if I could revive it with the 2mm 'Liquid Chrome' pen I have used on a smaller badge to great success. 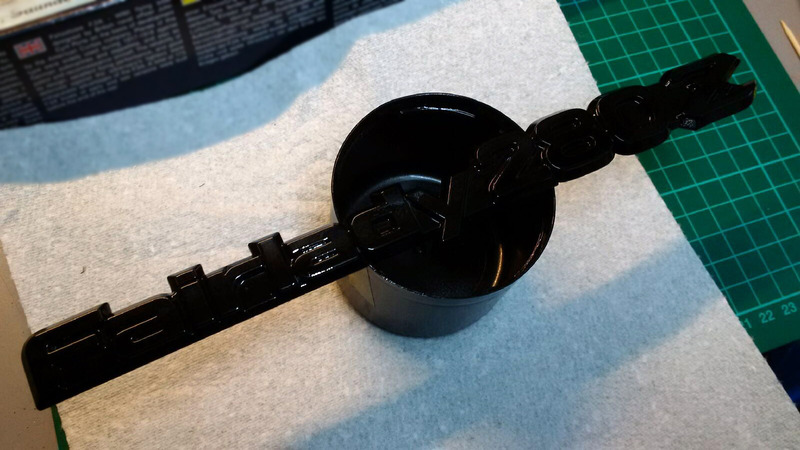 So, I degreased it and then sprayed it with an enamel gloss black rattle can. It would have looked better in satin, but I don't have any at the moment, and this is just a test anyway. I then flatted off the top on the lettering with wet and dry, and 'coloured in' the letters with the pen. It came out pretty well, compared to how it looked before hand. From a couple of feet away it looks really pretty damn good. The finish does look more chrome-like in reality, the photo isn't great. Would I do it again on such a large surface area? Well, if the badge was in poor condition, you don't have anything to lose. 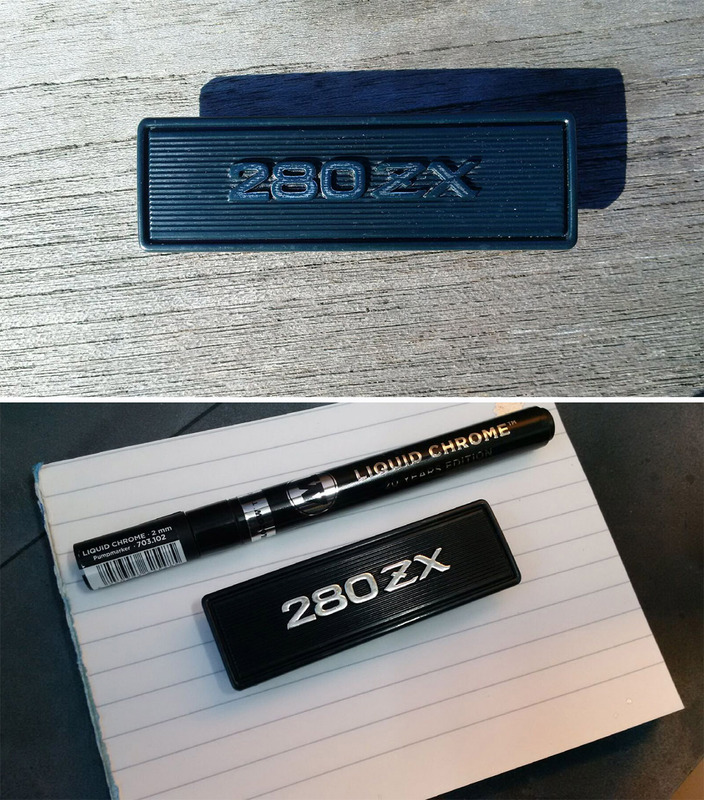 My tips would be that; satin black would look better and that you need to work quite quickly and cover each letter in one go with the liquid chrome. Don't be temped to put too much on either, a single thin layer looks best. If you miss a bit and try and touch it up it doesn't look great. I will see how well the chrome sticks and whether it stands up to a scrub with a car brush and sponge. Mark N, Mr.G and Paul_S like this. Just wondered to myself if you could airbrush this stuff, and right enough there is a guy on YouTube who has done it. It looks very good. You can get a 30ml refill bottle and use it straight into an airbrush. 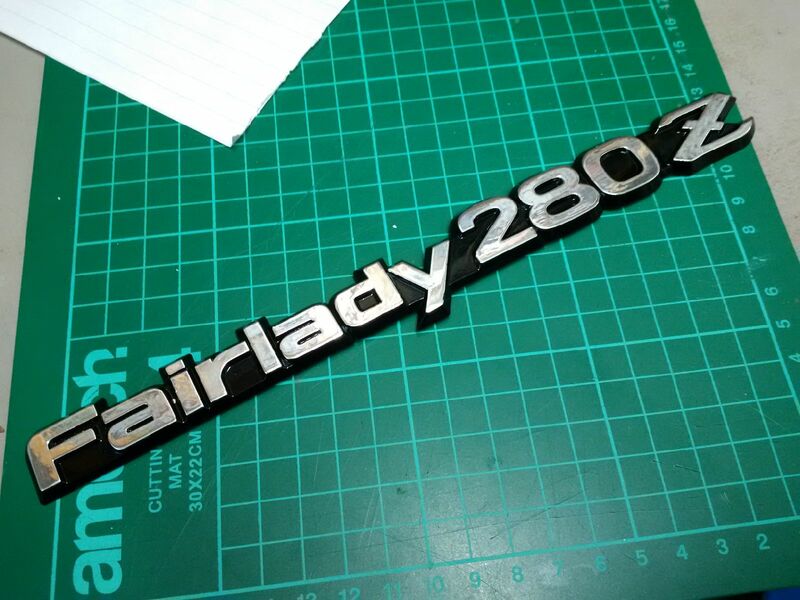 Wouldn't really be practical to try and airbrush an emblem as you would need to spend a few hours masking it up properly. Have you got the link again to the chrome pen so I could et one of the bottles - fancy a go at this! Isn't yours a ZX ? Yes, it's a ZX, the badge I refurbed was a freebee I got ages ago. Just wanted to try out my colouring in pen! I noticed that on the badge experiment, handling the item does affect the finish, even after it is dry. The chrome look can start to look flatter. Next time I will try a clear lacquer over the top to seal the finish. I think I will remove the chrome with wet and dry and redo it. 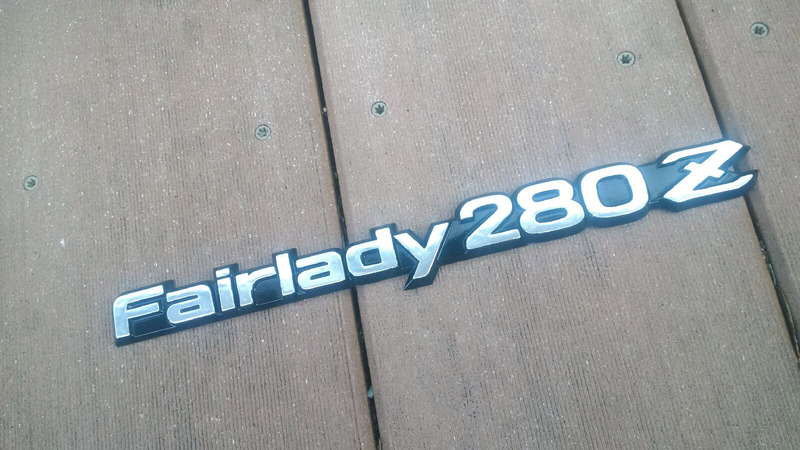 'Flatter' meaning not as shiny? How long does it take to dry completely out of interest? Did you let it dry naturally or use a hair dryer etc? Have a look at the fingerprint on the longer video (about 4:20 seconds in) and you can see what the issue is. Conclusion: I would say that in smaller items the pen is ideal. If I wanted to use on larger surfaces spraying would be what I would try next time. The stuff really does work and looks like chrome, it is just a matter or trial and error to get the best result. Finger prints are going to be an issue, but hope that if I leave it to dry for a week or so it shouldn't mark. Will experiment with a clear lacquer at some point.